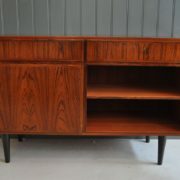 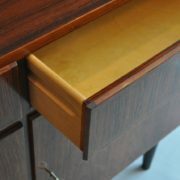 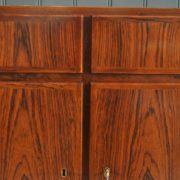 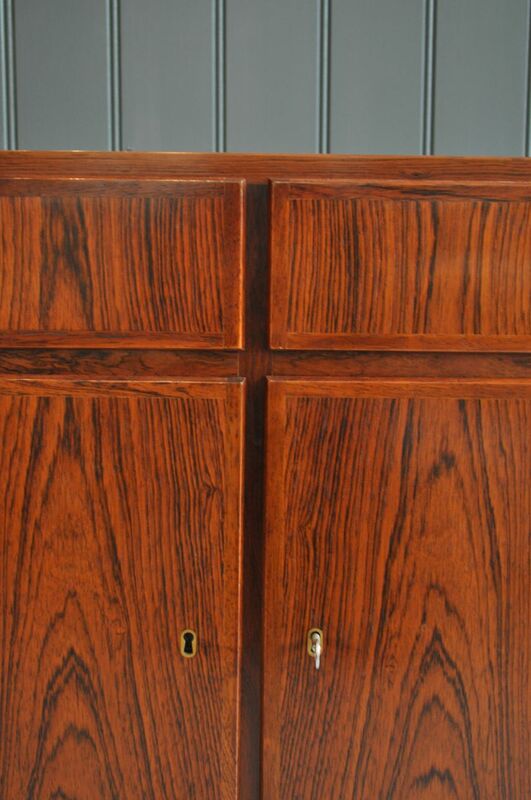 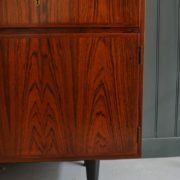 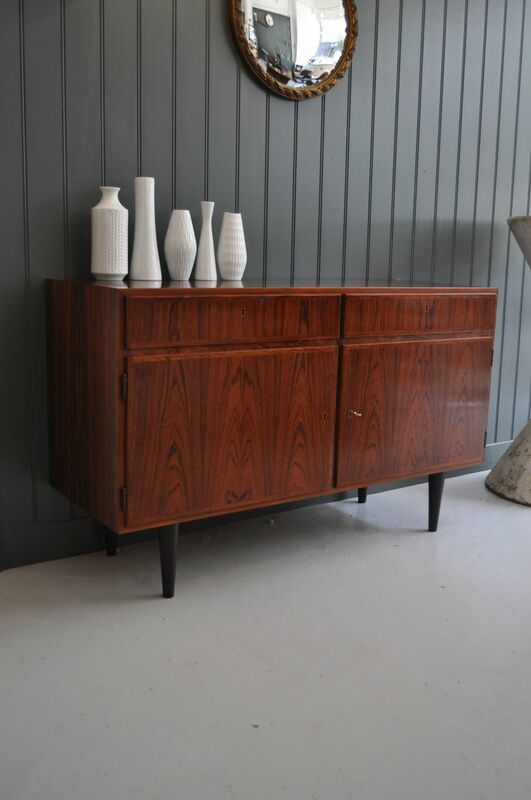 Simple and crisply designed Danish rosewood sideboard. 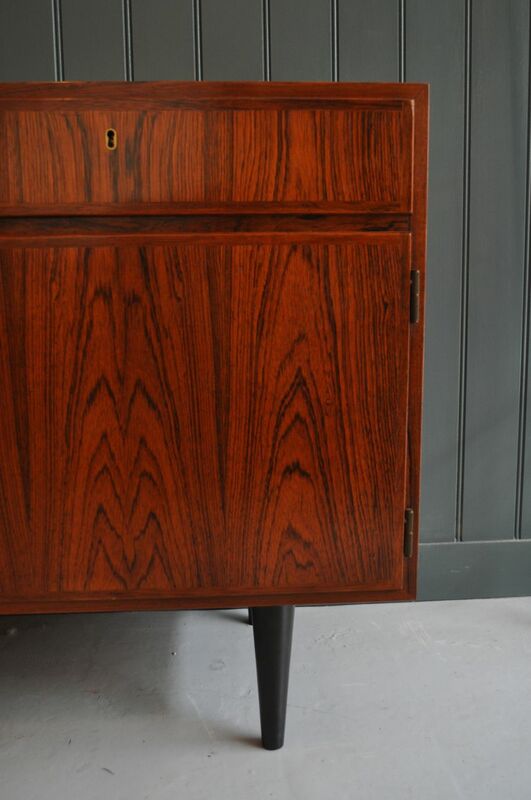 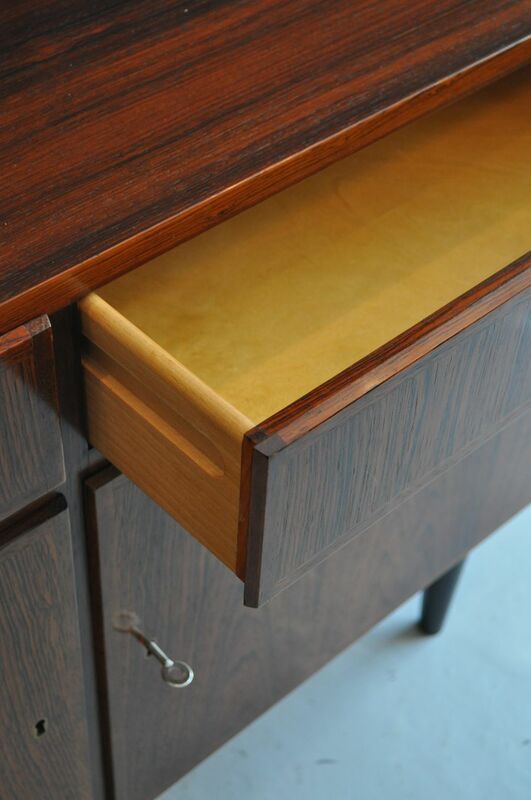 Lovely clean lines uninterrupted by handles, and working locks to both drawers and doors. 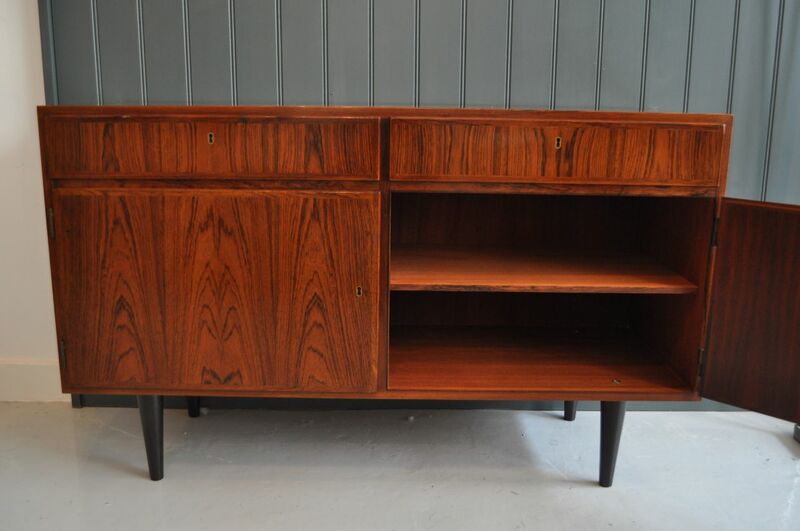 Compact and stylish.